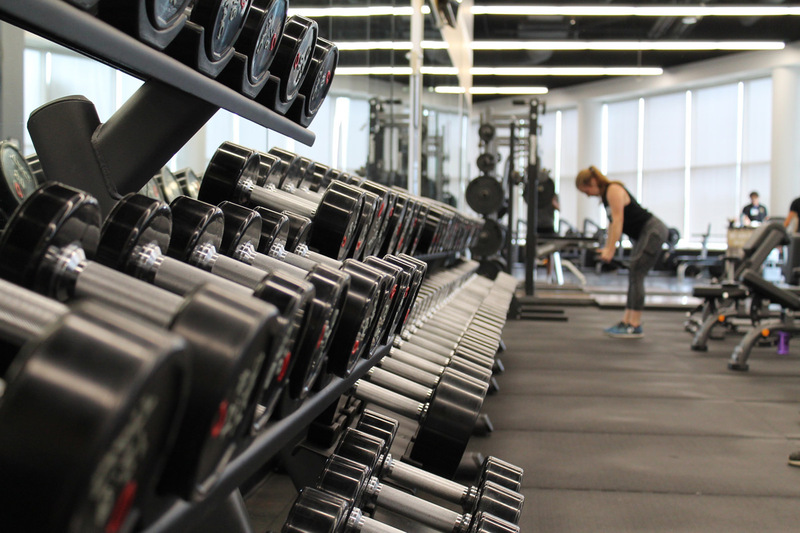 If it’s been a while since you exercised, think twice about hitting the gym full steam ahead. While you might remember being able to do a lot more beforehand, your body needs to ease into things after taking time off. If you don’t know your body’s limitations, proceed with caution. After all, there’s nothing worse than starting on your resolution to work out, only to find yourself in the doctor’s office with an injury. You’ve got to pay attention to your body before you can know what it can do. “This isn’t about avoiding certain fitness activates until you’re in better shape, though that’s part of it,” explains orthopedic surgeon Kenneth Plancher. “It’s also about knowing what your weak areas are and then avoiding the type of activities that are going to push hard on that weakened area.” If it’s been a while since you worked out, or you are considering increasing the intensity of your workout regiment, consider the following tips for safe workout habits. If you have questions about your exercise routine, your doctor will have preventative advice. Hiring a trainer is a great way to avoid a fitness-related injury. A personal trainer will know how hard you can push yourself during your workout without injuring yourself. They’ll know when it’s appropriate to add more weight and more reps without straining your muscles. If you’re using poor form, which can really affect your muscles and joints, a personal trainer can correct you and make sure that repeating poor form doesn’t land you in the hospital with an injury. They will also know how your age and various personal body issues will affect your response to training. One of the fastest ways to get an injury is to hit the pavement going at top speeds without first warming up. You may have noticed that on most gym machines, the set programs include a warm-up. Warming up and stretching your muscles helps your muscles to prepare for stress. Start with a lower weight if you’re lifting, or start out at a slow pace if you’re doing cardio. A 2011 study showed that warming up with exercises that increase balance, agility, plyometric help you avoid ACL tears and sprains by about 50 percent. Injuries related to fitness are often caused either by accidental impact such as falling off a bike or getting hit by an opponent in contact sports. 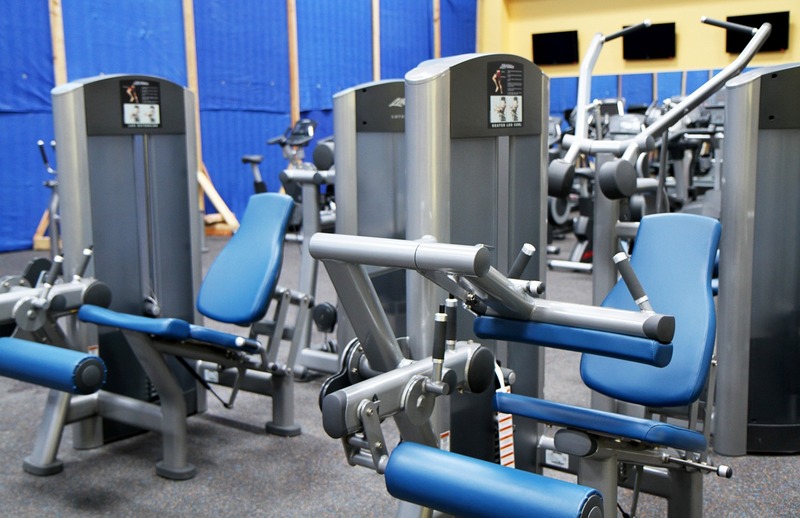 But when it comes to working out at the gym, overuse and repetition lead to most injuries. The key to avoiding this kind of injury is to vary your workout routines. This will help you avoid tendinitis or shin splints or other muscle strains. If you know your trouble areas, you can avoid triggering trouble during your workout. Do a little research on your trouble areas to see what exercises and machines you should avoid. For example, if you have lumbar trouble, you won’t want to do any unsupported forward bends, bouncing exercises or double leg raises. If you have trapezius trouble, avoid any rowing exercise or pull-up action. If you don’t know how an exercise machine works, get help from a gym employee who can show you the proper way to use something. Straining muscles and hurting joints isn’t the only way you can hurt yourself. Dropping a weight on a finger or sliding off a treadmill can be both embarrassing and painful. Start the treadmill out slowly and gradually let go of the rails. You don’t want to hold the rails the whole time though, as it can cause muscle strain in your shoulders. Instead of depending on a death grip on the rails, slow down. 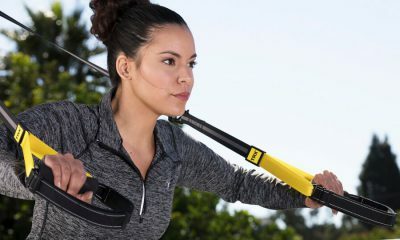 You need to know when the pain you are experiencing is simple body stress that comes with a challenging workout routine or a pain that is telling your body to quit. Especially those who get very committed to their routine will begin to workout even if something isn’t feeling quite right. Committed weightlifters sometimes push through pain by using ibuprofen, cortisone shots and ice in order to continue working out in spite of shoulder pain. Numbing your body, though, can allow you to workout when your body isn’t ready. Instead of numbing your pain, consider longer-term solutions such as physical therapy. Like everything healthy, exercise beyond moderation can hurt you. Make sure that your routine doesn’t land you in the doctor’s office. Amy Nielson is a blogger who writes for Briggs & Butler, a medical insurance provider that can offer policies for families, private individuals or companies. You can follow her on Twitter @NielsonAmy. Good advice here. I just started my fitness routine after some time off. Train smart. Start slow, and work back up into it. Avoid injuries is key! Yeah, I made this mistake last year, jumping right back into my routine without building back up, and I was down for the count before you knew it. Wish I had read this post before going full steam ahead after a 2 month break from the gym. I ended up injuring my shoulder during a routine workout lifting half the weight I was doing prior to the break! Best to train smart and start slow as previously mentioned. Having said that it’s important to increase training levels so that your body can make gains. Thanks for this info. Although I’m a woman, I also hit the gym twice in a week and I find your tips very helpful. I once injured my shoulder and had to go through osteopathic treatment just to heal. This time, I really need to be more careful.